At the Swansway Jeep dealership in Chester you'll find your favourite models from Jeep’s legendary range. World-renowned as big, strong and powerful cars, Jeep models are geared up for an adventure. The range includes the world’s most awarded SUV, the Grand Cherokee, and the iconic off-road explorer, the Wrangler. We also have the all-new Renegade. Visit our dealership in Chester, Cheshire, to explore the full Jeep range. Our friendly team will help you find the ideal Jeep for your travels. Buying a car through an honest and experienced team like ours couldn’t be easier. They'll run you through the finance options and take care of some of the admin and maintenance for you too. 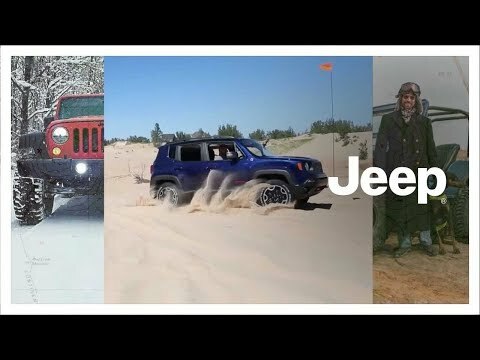 What's more, we have a range of additional products you may wish to consider when purchasing a new Jeep. Have a browse of our Jeep models online and check out our latest Jeep offers. If you have any queries, fill in the contact form or give us a call to speak to one of the team.